Pints from the Past – video available! UPDATE: The date for the encore event featuring Ms. Matthews has been changed from December 1, 2016 to March 14, 2017 at the Lake Theater & Cafe in Lake Oswego. 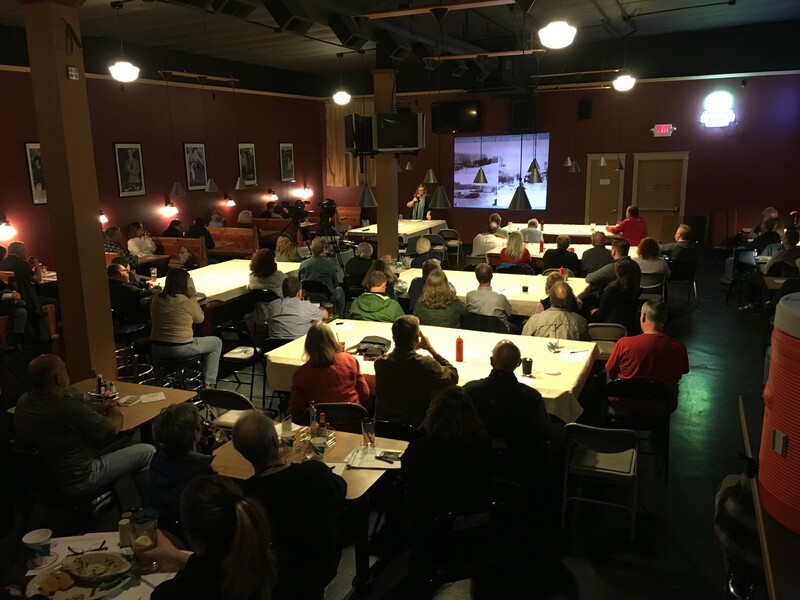 The most recent installation of the popular Pints from the Past lecture series on October 12 featured the Willamette Falls Legacy Project’s cultural landscape report. It was presented by Laurie Mathews, an award-winning preservation planner and historian. As Ms. Matthews explained, the cultural landscape report for Willamette Falls is designed to support the work of stakeholders and the design team by providing a common knowledge base focusing on the site’s history. Ms. Matthews talked about key findings and interesting connections from her work on the cultural landscape report, highlighting elements of the Willamette Falls Legacy Project site that we can’t see today. A draft cultural landscape report will be delivered in early spring. The knowledge and insights in the report will be used to inform riverwalk design, construction and interpretation.